The Chamber multi-tool offers 13 functions from an efficient T-bar head. A smooth finish caddy protects the tools and ensures the tool doesn't snag jersey pockets or equipment. The T-Bar system increases functionality and ensures that hard to reach areas of the bike are easily accessed. 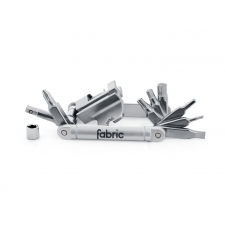 A reversible ratchet model offers further functionality, providing a simple and elegant improvement upon a cyclist's essential. The smooth metal case of the Chamber safely and securely holds 13 tools, ensuring there is no snagging on clothing or equipment. Weighing in at only 162 grams it is lightweight and portable. Seated securely within the Chamber are 6 double-ended bits and an 8mm over-bit. The bits can be used at different lengths in the Chamber head, increasing access to the many hard to reach areas on a bicycle. 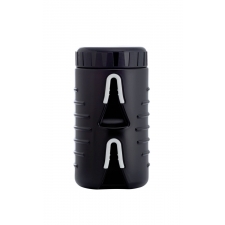 2 versions of the Chamber are available; Fixed head, which enables use of the tool at different lengths and Ratchet head, which offers the additional functionality of a reversible ratchet. 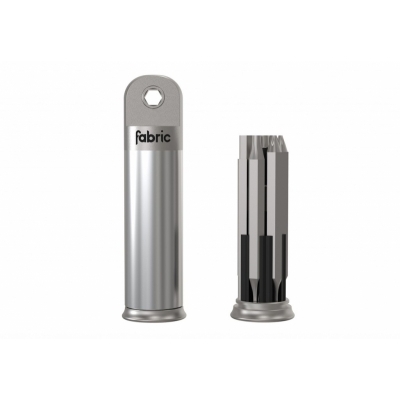 Buy your fabric Chamber Ratchet Multi Tool from CannondaleSpares.com.